Welcome to A Sampling Bee! 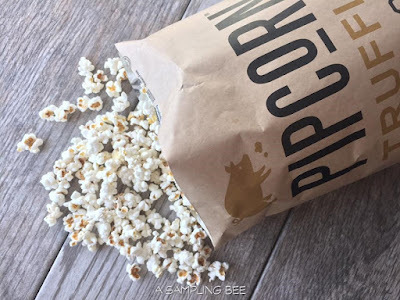 Today, I share with you yummy popcorn from Pipcorn. 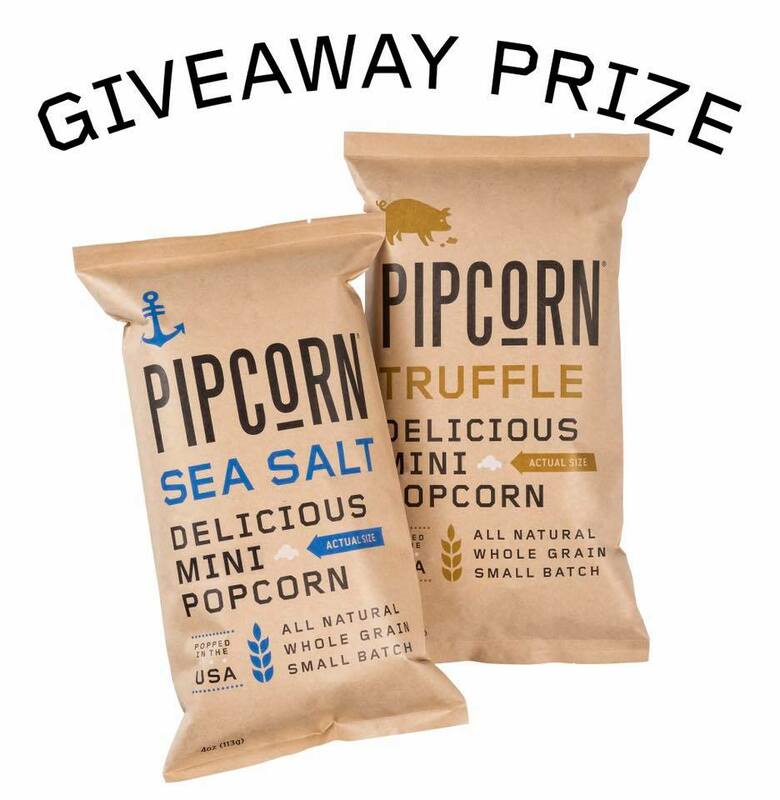 Pipcorn was founded by Jeff & Jen Martin, a dynamic brother and sister team. 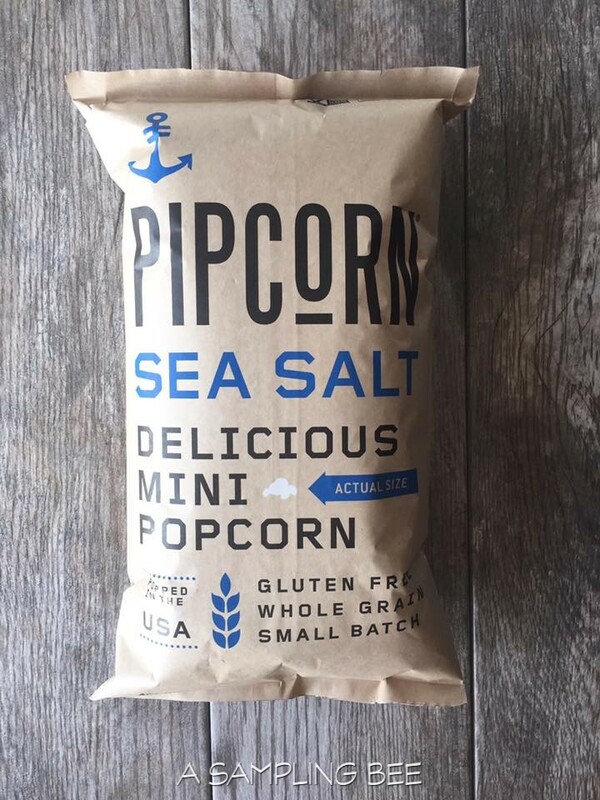 Their delicious popcorn was featured on an episode of Shark Tank and was endorsed by Barbara Corcoran. All of their delicious flavors are popped in small batches and seasoned by hand. 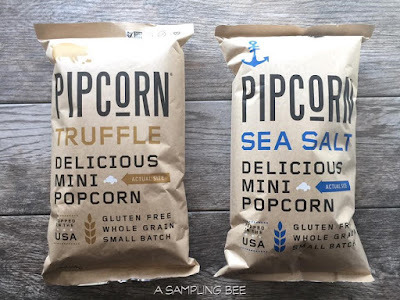 Read my review below and enter to win some Pipcorn! 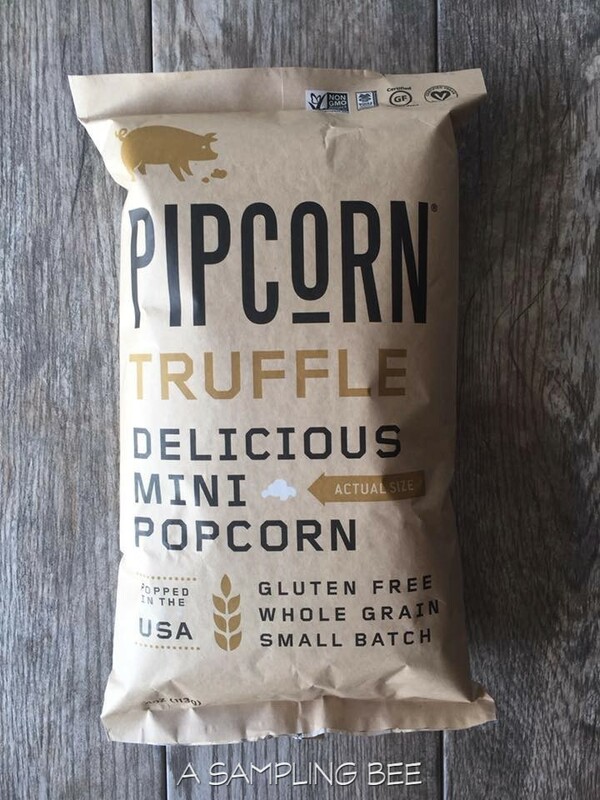 Pipcorn is made with small popcorn kernels. When popped, the popcorn is half the size of ordinary popcorn. 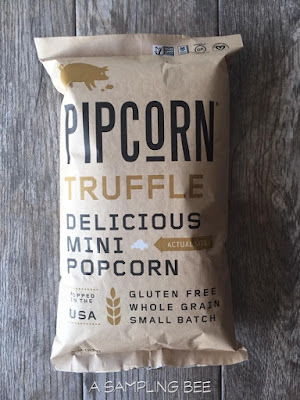 Pipcorn is made with olive oil instead of butter. 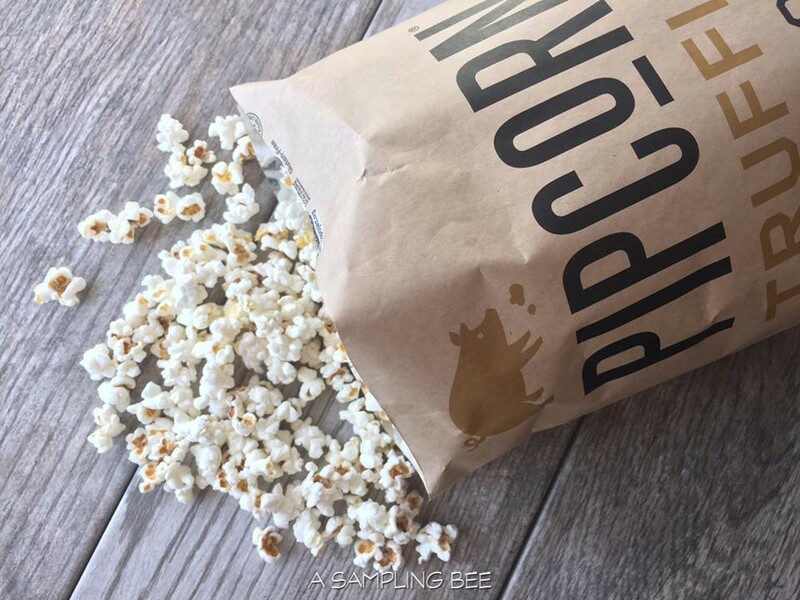 The popcorn is gluten-free, non-GMO, Vegan and whole grain. This popcorn contains hulls, but they are much more delicate than ordinary popcorn hulls. The delicate hulls are easier to digest. Pipcorn comes in many yummy flavors. These flavors include: Sea Salt, Kettle, Truffle, Rosemary, and Chili Lab. Pipcorn also sells kernels. 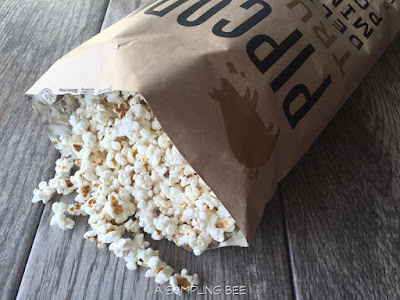 This allows you to pop your own Pipcorn at home! Pipcorn is made in the USA. I got to try 2 out of 5 of their popcorn flavors. I got to try the Sea Salt flavor and the Truffle flavor. Both of which are out-of-this world good! The Truffle flavor is really unique and different. The Sea Salt is the perfectly salted. I'd say that both flavors are good for movie night but, my top choice would be the Truffle flavor. It's AMAZING! I ate the whole bag! 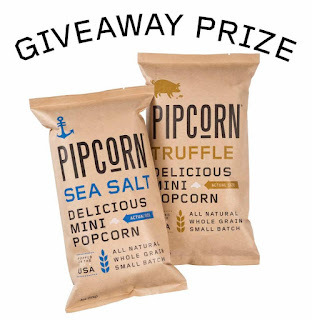 Enter to win two(2) bags of Pipcorn! One(1) bag of Sea Salt & one(1) bag of Truffle! One(1) winner will be chosen and contacted via email. US only. Enter below and GOOD LUCK!